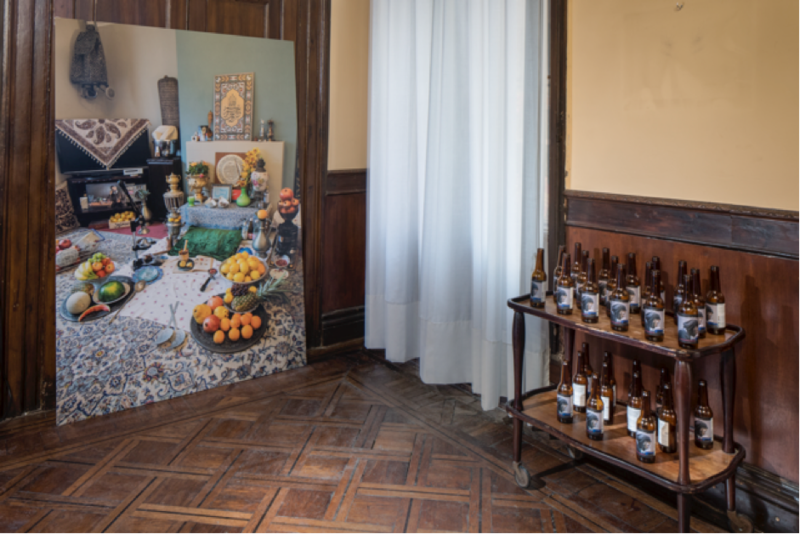 Diaspora Pavilion presented the work of nineteen artists at Palazzo Pisani a Santa Marina in Venice during the 57th Biennale. Taking place between 13 May and 26 November 2017, the exhibition included a total of 37 artworks across a variety of media, and demonstrated the complexity and continued relevance that diaspora as a lived in reality holds today, while challenging the prevalence of national pavilions within the Biennale structure. Diaspora Pavilion | Venice to Wolverhampton presents seven of the artists from the Venice Pavilion at Wolverhampton Art Gallery. Larry Achiampong, Kimathi Donkor, Michael Forbes, susan pui san lok, Paul Maheke, Erika Tan and Abbas Zahedi re-stage works shown in Venice alongside newer works, shifting and driving conversations initiated by the 2017 show around the urgency and importance of the diasporic experience. Diaspora Pavilion is curated by David A. Bailey and Jessica Taylor as part of a two-year project designed to provide professional development opportunities to a group of eleven artists with the assistance of ten mentor artists, many of whom also exhibited in Venice. Diaspora Pavilion | Venice to Wolverhampton runs from from 10 February until 29 April. Tags: Abbas Zahedi, ACE, arts council england, diaspora, erika tan, ICF, international curators forum, Kimathi Donkor, Larry Achiampong, Michael Forbes, Paul Maheke, ual, venice, wolverhampton art gallery, wolves. Bookmark the permalink.